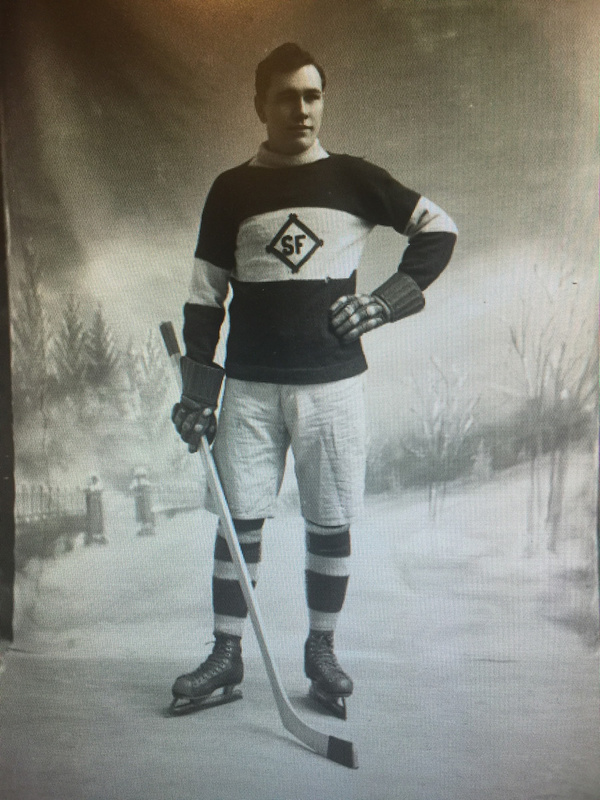 Can you help identify this player or his uniform? Could the "SF" stand for Smiths Falls? San Francisco? Or even St. Francis? Perhaps it is a mercantile league team and the letters represent the company name? The winter scene in the backdrop seems unlikely for a sunny locale like California. Join us on the SIHR member email discussion forum (http://www.sihrhockey.org/__a/public/elist.cfm) or send an email to webmaster@sihrhockey.org.